According to a Rakuten Marketing report the affiliate marketing space in the US alone is set to grow at a rate of roughly 10% between 2015 and 2020. That represents a value of an estimated $6.8 billion. Given those impressive numbers, it isn’t any wonder that many are looking to get on the gravy train. After all, if people watch YouTube videos and buy into the products recommended by them, why won’t they buy from you? 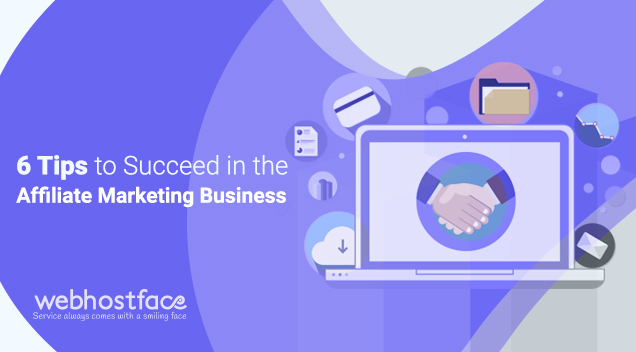 Building trust with your readers is one of the core foundational requirements of affiliate marketing. Yet it isn’t as simple as that. There are many elements which make up the successful affiliate marketing site and today I will share some of those tips with you. Just like in the real world where you can buy almost anything retail, such is the affiliate market online. You can choose to sell almost anything but there are two things to remember when choosing to go into the affiliate marketing business. The first is that there are niches and then there are lucrative niches. Some of the top earning niche areas are Health, Wealth and Romance. By choosing the right niche to target you are basically selecting your potential revenue pool. The second is to really choose a niche and not try to sell everything that comes across your path. The reason for this is because of content. The richer a site is in specific content, the better its chances of getting the attention of search engines like Google. By choosing a niche and targeting it with the right content, you will be able to build an in-depth content strategy that is focused and trustable. One point I do have to point out though is that rather than simply choosing what you think is the most profitable niche and jumping into that, I highly recommend that you choose something that you are interested in. If you have zero interest in a niche and try to build into that area simply for the money you might not do as well as you think. While much about the affiliate marketing business revolves around using content to draw people to your site, one important thing to remember is the base of it all – start your website. Your website serves content to your readers and its performance is partially affected by the quality of your web host. Slow sites lose users and affect search engine rankings as well. Spend time comparing web hosting providers to choose one which is reliable and offers the best deal for you. There is no one-size-fits-all so take your time and read some reviews. The year is 2019 and much of digital traffic is also moving towards mobile thanks to increasingly powerful and yet smaller devices. Any site you build should also be optimized to serve content to mobile devices. As I mentioned earlier, choosing a niche and focusing on it can make it easier for you to build a coherent content strategy. You should ideally build content that is focused on a narrow front but gives in-depth coverage. Take for example if your site is only aimed at selling health supplements. You won’t have to worry about any type of content except for those related to that, but whatever you produce should contain as much information on it as possible. This not just serves to attract a consistent type of reader but also shows your authority on the subject matter. If your content is all over the place it isn’t as likely to inspire trust as another site, whose content is extremely focused. Any content you build should not only be informative but also helpful. This type of content will generate repeat visitors and hopefully, loyal customers. Once you’ve got the site and content right you should start seeing the traffic roll in but it isn’t time to rest on your laurels. Always keep analyzing your traffic to so that you can use that information to improve your site traffic. Tools like Google Analytics can help you monitor your entire site and give you a comprehensive view of vital areas like demographics. The information can help you skew your content or products being marketed towards the right audience. Take for example if you notice your users mainly come from the US, then it might not be a good idea to focus on products which somehow are only available in Europe. 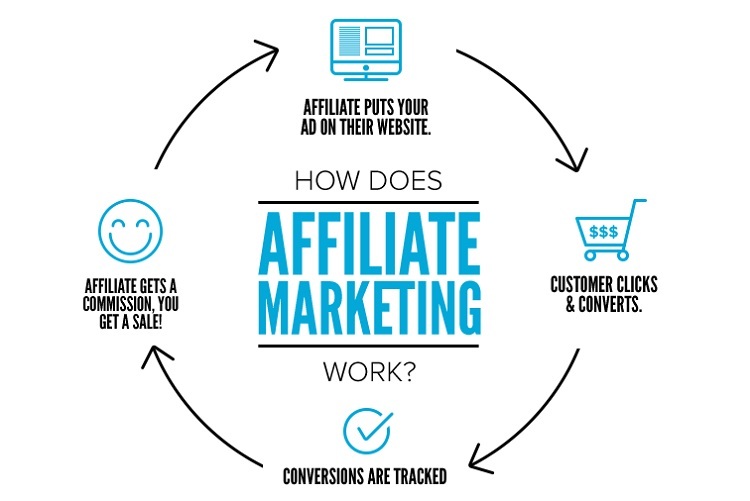 By making adjustments following your traffic you can optimize your affiliate sales. Aside from building internal links, consider working with other sites to build incoming quality links to your site as well. Google loves sites which are being referred to (linked) by other sites and that builds up your reputation with the search behemoth. It won’t be easy to build those links and you may have to come to some quid pro quo with other site owners, but the time spent will be worth it. You can follow some of the industry leaders like Moz and Ahrefs to get started. Rome wasn’t built in a day and neither will your affiliate marketing business. I have heard stories of would-be affiliate marketers who took a year to earn their first sale but are now raking in the moolah by the wagon load. At the same time, have realistic expectations. Getting started with affiliate marketing isn’t a get rich quick scheme and requires real work for you to succeed. It is an entire industry on its own and you won’t be able to compete unless you have the experience in it to put up a good show. Learning the ins and outs of the affiliate marketing business can take a long time and even then, you might struggle to implement them. Important note: Quitting your day job to try and hop into affiliate marketing is a seriously bad idea unless you are backed up by a ton of cash. You will need financial support while building up your site! As you’ve probably realized by now, this isn’t an easy business to get into. Yes, some people might have a greater affiliation (pardon the pun) for it than others but by and large, everyone needs to pay their dues. Expect to put in many hours of tedious research and backbreaking labor before the fruits of your toils are realized. However, ultimately you are putting all of this work into your own business so play it as a long game. If you lay a solid foundation and stick to the rules you will be making money off your affiliate marketing business for years to come.